Disney Seeking Look-alikes for Aladdin, Cinderella and Repunzel on Nickelodeon | Auditions & Casting Calls for 2019. All performers, including Disney Character Look-alikes, will also perform in meet-and-greets as fully costumed Disney Characters in our Parks and Resorts. This includes wearing large body costumes, heads, and feet, and exposure to hot and humid weather. Aladdin: Male, 5’10 – 6′, slender or athletic build with a confident and outgoing personality. Cinderella, Aurora, Rapunzel: Female, 5’3 – 5’7″, slender to athletic builds with outgoing personalities. Auditions will be held on Thursday, July 28th at 4:00pm. Sign-in will be from 3:30 to 4:00pm. They will not accept any late applicants so give yourself some extra time to arrive. Sign-in: 3:30 PM – 4:00 PM – Late applicants will not be accepted so be sure you arrive on time. Performers must be at least 16 and authorized to work in the United States. 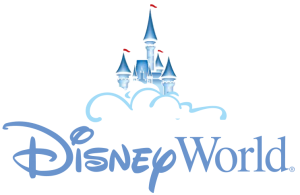 Auditions are open to the general public, however, current WDW College and International Program Cast Members and Current WDW Character Performers are not eligible to audition. If you are local to the Orlando area and would like to audition for Disney’s Characters, then you may just attend the open casting call.